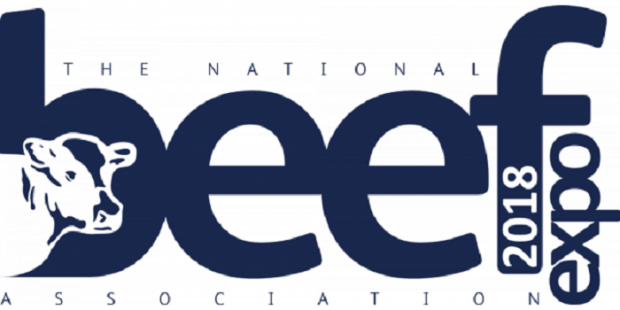 The National Beef Association (NBA) has today announced that their renowned Beef Expo event will be heading to the Welsh Borders for this year’s celebration of British Beef. The beef industry spectacular will take place on Friday the 25th of May 2018, kindly hosted by Halls Shrewsbury Livestock Auction Market. This key industry event which celebrates the British Beef industry and all who work within it, will once again be displaying the very best of British pedigree and commercial cattle under one roof. Over 20 breed society displays will showcase the pedigree sectors advances in genetics and the National Commercial Cattle Show (NCCS) will, as always, be kicking of the showing season with the ultimate podium for breeders from across the UK to showcase their stock and compete for their share of over £6,000 of prize money. In line with the event theme ‘Beef Up Our Future’ the show will encompass the entirety of the beef industry and its ancillary industries with over 120 indoor and outdoor trade stands and demonstrations, covering nutrition, genetics, machinery and technologies, highlighting the strength and progression of the industry. An array of technical seminars and debates will continue this theme investigating how we as an industry can work together to make our farms and supply chains more economically viable, integrated and transparent as we prepare to leave the EU. The Future Beef Farmer Challenge, established in 2015 will once again encourage enthusiastic young farmers aged 35 and under to rise to the challenge and be tested on their technical, practical and scientific knowledge with the chance to win a fantastic selection of prizes. Visitors will be invited to join the NBA for a day of Beef Expo farm tours on Thursday the 24th of May, giving guests the opportunity to view three exceptional beef farms hand-picked from across Shropshire and the Welsh Borders. This forum for knowledge exchange has sold out for three years running and is not to be missed - early booking is highly recommended! The farm tours will be followed by the prestigious Beef Expo Industry Dinner, the ultimate networking event for those within the industry. Online applications will open on the 26th October 2017 for trade stands, breed societies, cattle exhibitors and visitors wishing to attend the event. Please visit, www.beefexpo.co.uk to make your booking.